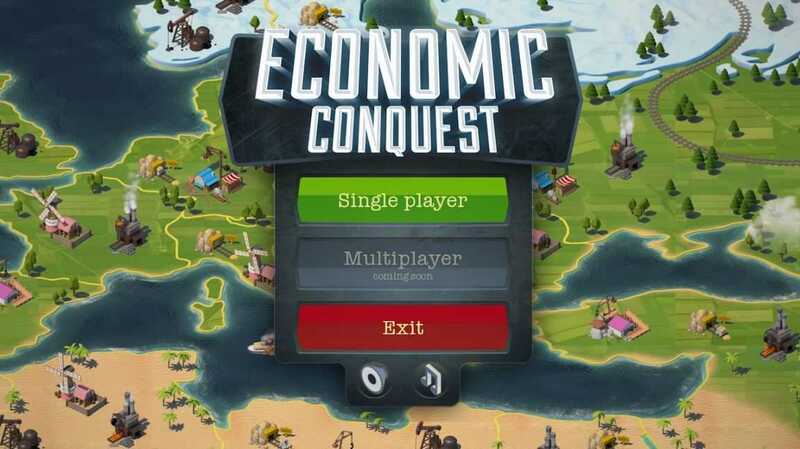 Economic Conquest is a tycoon simulation strategy game with a single goal in mind: conquer the world economy! 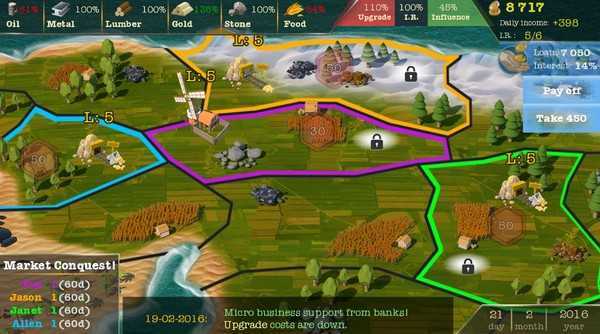 - Select a starting country, build up your business, improve it, maximize your profits and spread your economic influence throughout the world! - Midcore gameplay experience with the emphasis on building, upgrading and expansion. - Earn profits, create new strategies and organize the development of your business. 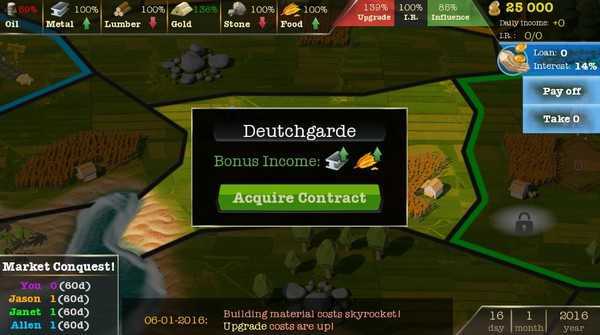 - Influence system allowing to maximize profits by unlocking higher upgrade tiers. Are you going to invest into charities to increase your influence in a region or would you prefer to pave your way to the tio via bribes and corruption? The choice is yours! 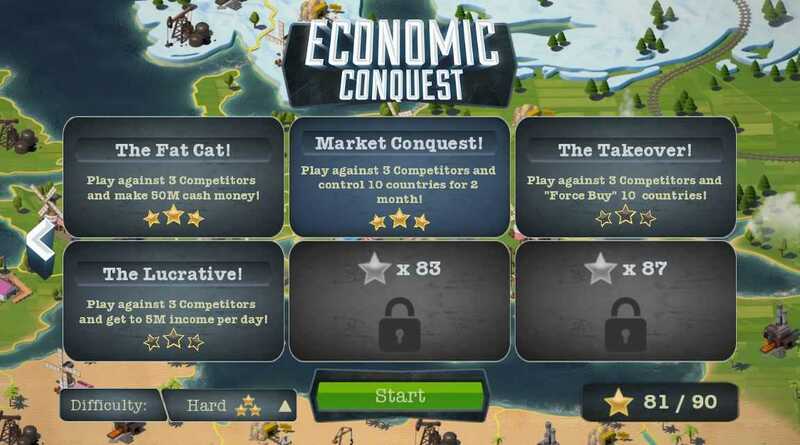 Play against AI: play against up to 3 AI players for the economic dominance. Disrupt your competitor's influence by performing hostile actions and ultimately take control over their business assets by a hostile takeover. Developed as an Indie game, Economic Conquest is designed to provide casual-midcore experience. Economic Conquest is a tycoon simulation strategy game with a single goal in mind: conquer the world economy! Select a starting country, build up your business, improve it, maximize your profits and spread your economic influence throughout the world!